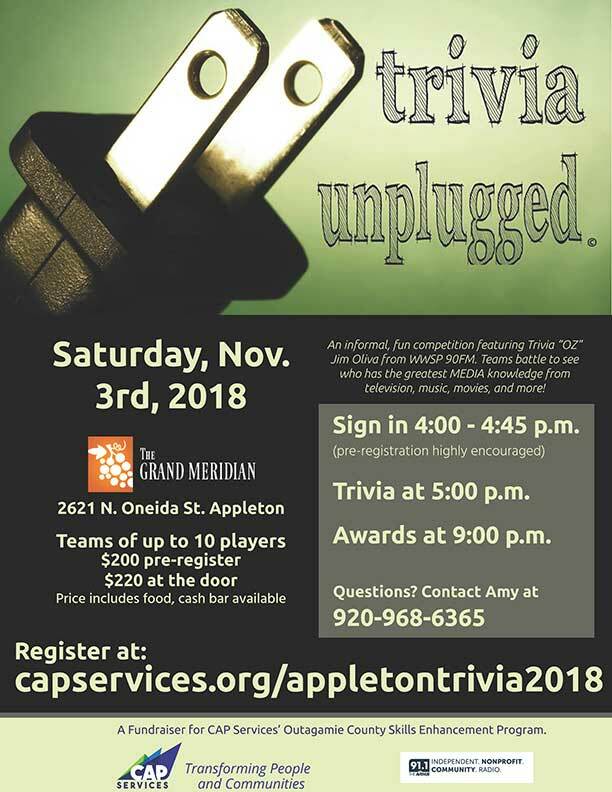 Past Events – CAP Services Inc.
Grand Meridian 2621 N. Oneida St.
A fun twist on a popular central Wisconsin trivia contest will be held in Appleton Saturday Nov. 3, 2018, to raise funds for CAP Services’ Skills Enhancement Program in Outagamie County. 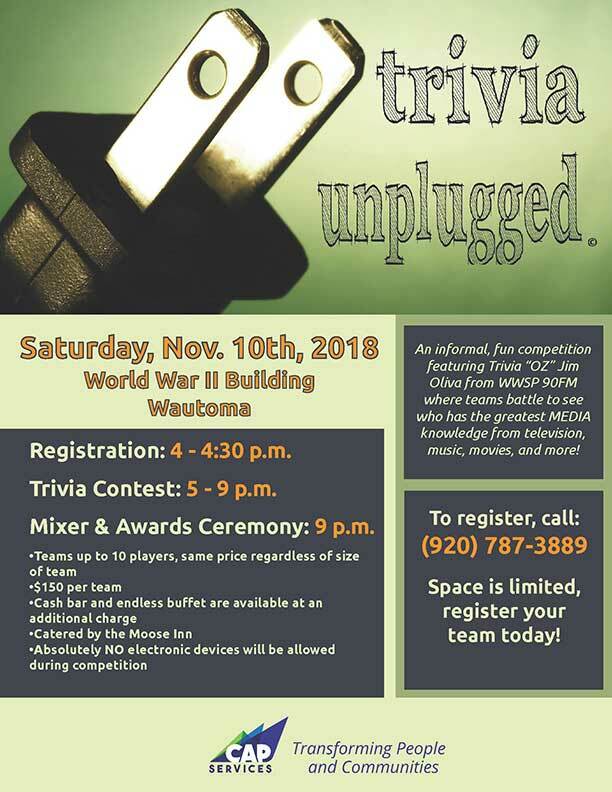 A fun twist on a popular central Wisconsin trivia contest will be held in Wautoma Saturday Nov. 10, 2018, to raise funds for CAP Services’ Domestic Abuse Outreach efforts in Waushara County. Spend a day in someone else’s shoes. 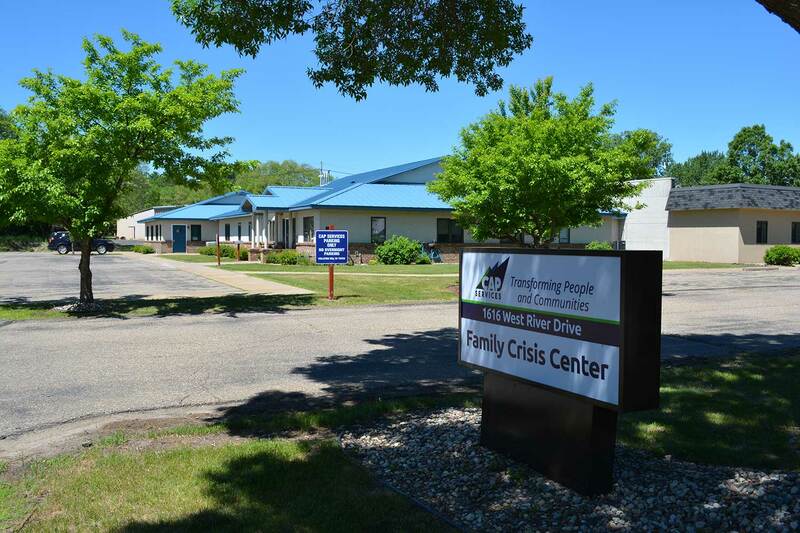 Together, CAP Services, Portage County Business Council's Leadership Portage County, and the League of Women Voters of the Stevens Point area will host a public poverty simulation on Thursday, November 15 at the Lettie Jensen Center in Amherst. 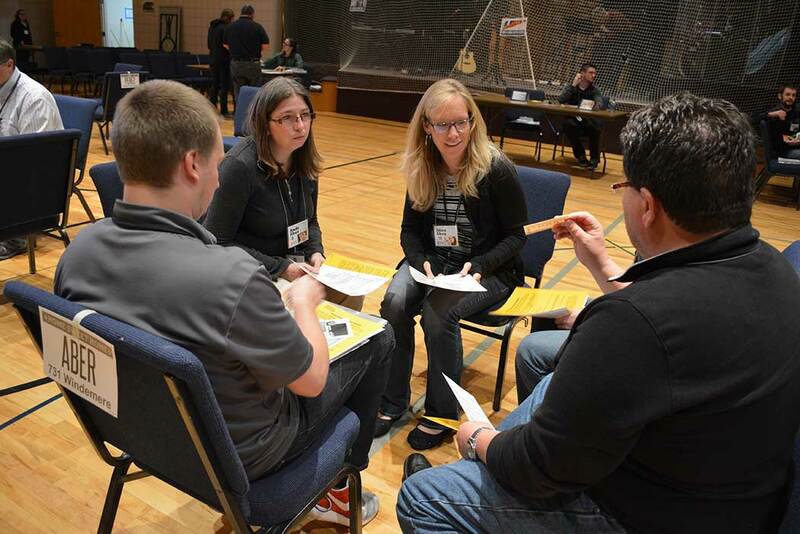 The community is invited to participate in the simulation. 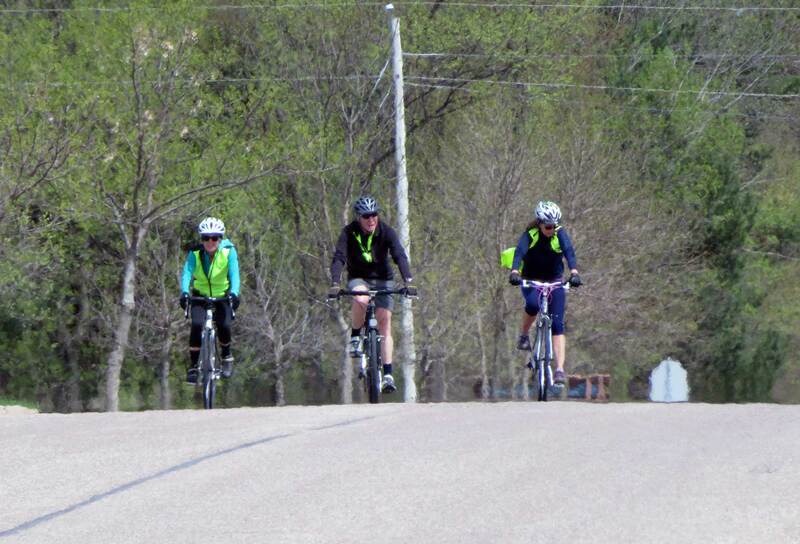 No past experience or participation is necessary. To help support female small business owners in the Appleton-area, Mid-Day Women’s Alliance in collaboration with CAP Services, announce the creation of the Fox Cities Women’s Entrepreneurship Grant Program (FCWEGP). This program, through a competitive application process, will provide one local female business owner with a $2,000 grant and over $2,500 in business coaching services and networking opportunities each year.